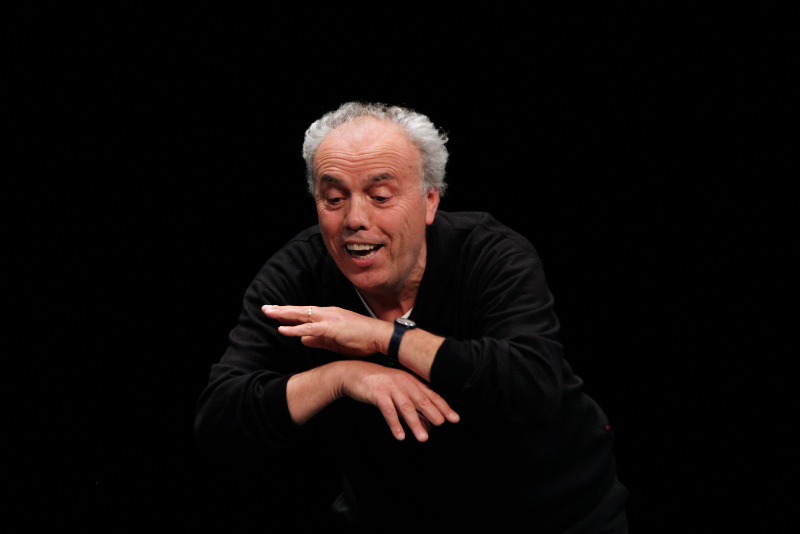 Mario Pirovano (Milan, 20 April 1950) is an Italian theatrical actor, storyteller, translator and interpreter of Dario Fo’s monologues. His performances contribue to spread the Fo’s art in the world. Mario Pirovano grew up in Pregnana Milanese, a small village just out of Milan. At the age of 12 he worked in a local shop, at the age of 24 he moved to England, where for about 10 years he does all sort of jobs. In 1983 he sees Dario Fo and Franca Rame performing Mistero Buffo at the Riverside Studios in London, and totally identifies in the works of Dario Fo Since 1983 Mario Pirovano has taken part in all the works produced by Dario Fo and Franca Rame as an actor or assistant producer, stage director or simultaneous translator. In 1987 with Fo and Rame he acted in the programme “Forced Broadcast”, shown in eight episodes on a national television channel (Rai3). 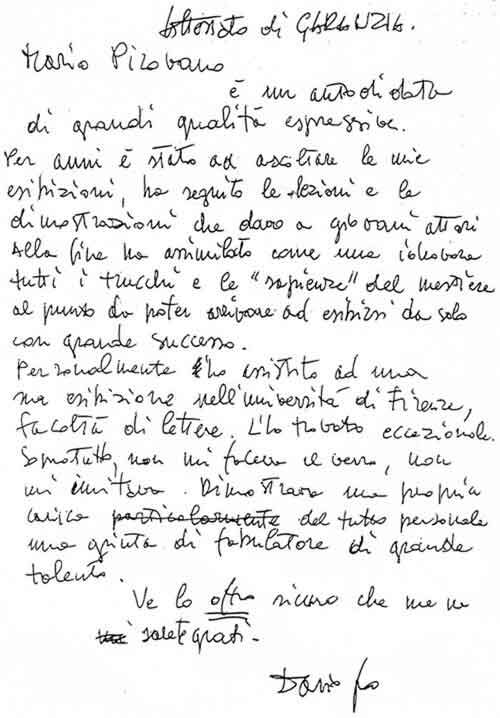 The long years spent as an apprentice and his unique relationship with the Master make Pirovano not only the most proven interpreter of the theatre of Dario Fo, but also an impassioned and tireless populariser of the style and language which have made Fo famous throughout the world and earned him the Nobel Prize for Literature.